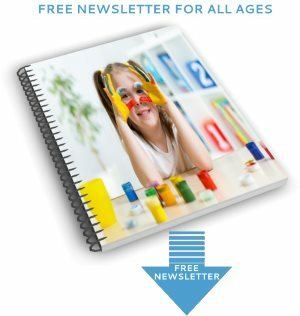 Our human body for kids unit study makes it to number one of our free e-book of ten science experiments that won't let you down! 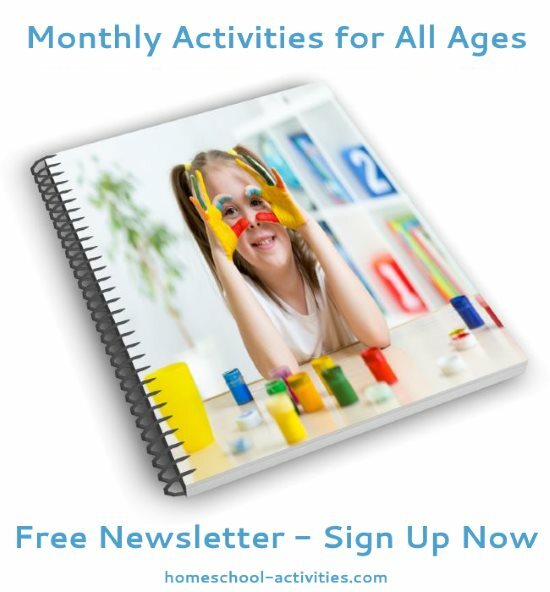 You'll find fun activities and experiments for all ages. As you can see, lots of ideas which make discovering the human body for kids one of the most awesome journeys you can take! 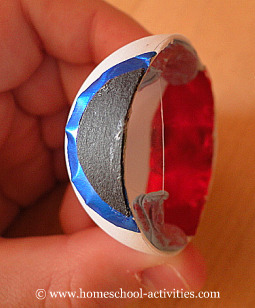 We'll start with some human body activities for young children and move on up until you get to make an eyeball! Use the cardboard tube inside a roll of paper towels for yours. Color it your favorite color. Now try listening to each other's heart beats and see if you can count them. The human body has an average of 5.6 liters of blood. Take some red food coloring and add it to some water. 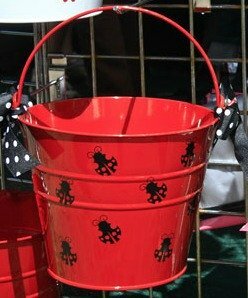 Get the kids to measure out the right amount in a big bucket. You can find more water experiments in our homeschool unit study on ocean creatures. 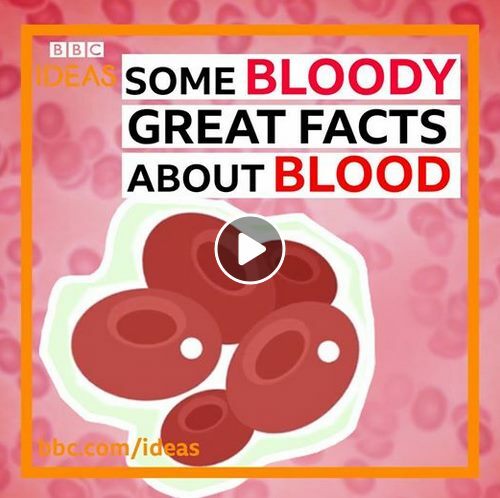 This is a fabulous video with facts about blood. 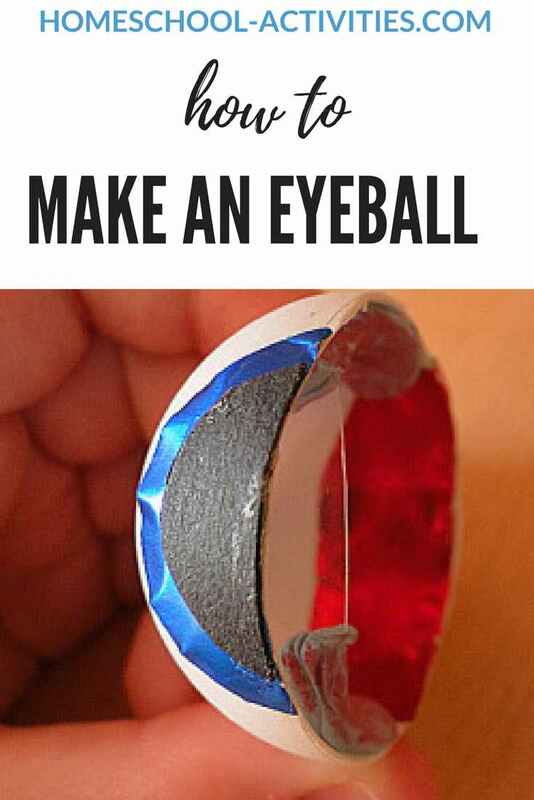 Try an easy experiment and make some blood! You can enjoy being Dracula for a day by making blood out of food. You can get a download showing you the exact proportions of each of these you need to make human blood. 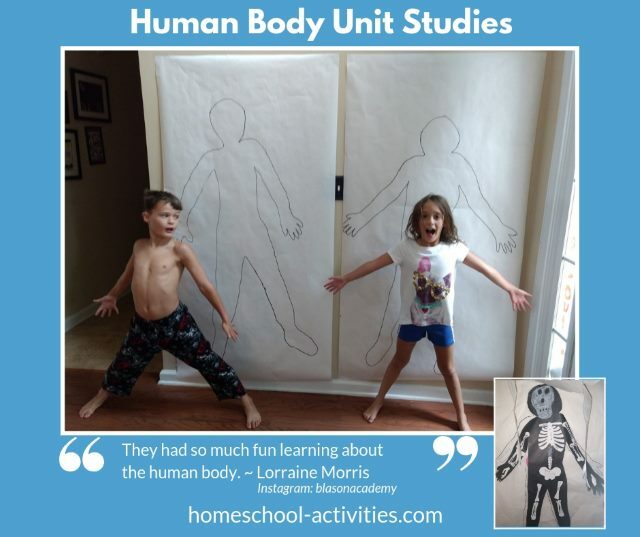 Click on our free human body for kids printable. 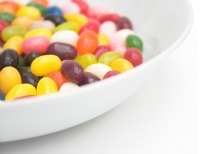 You'll find out that you'll need a lot of corn syrup! And if you've had fun making blood, use that to spark your kids imagination to try lots more of our experiments! 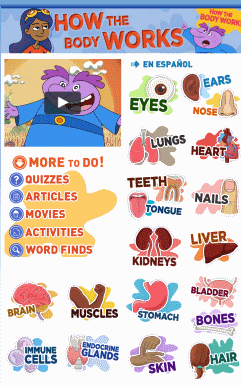 Learn body parts with felt as you sing a human body song! 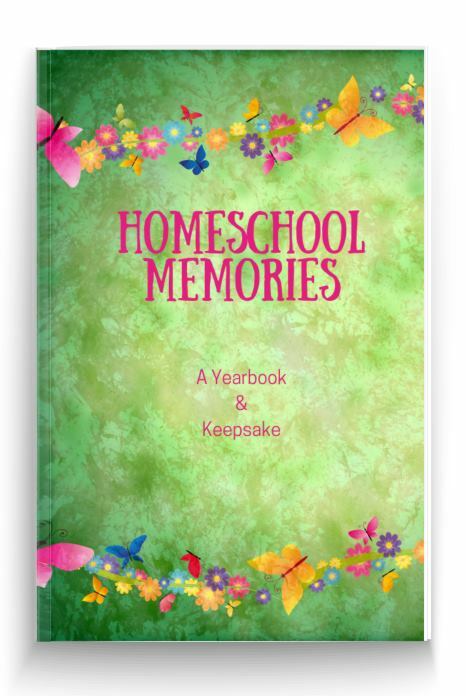 "Here is a wonderful idea from makinglearningfun.com for anyone who wants a fun biology lesson for their children. 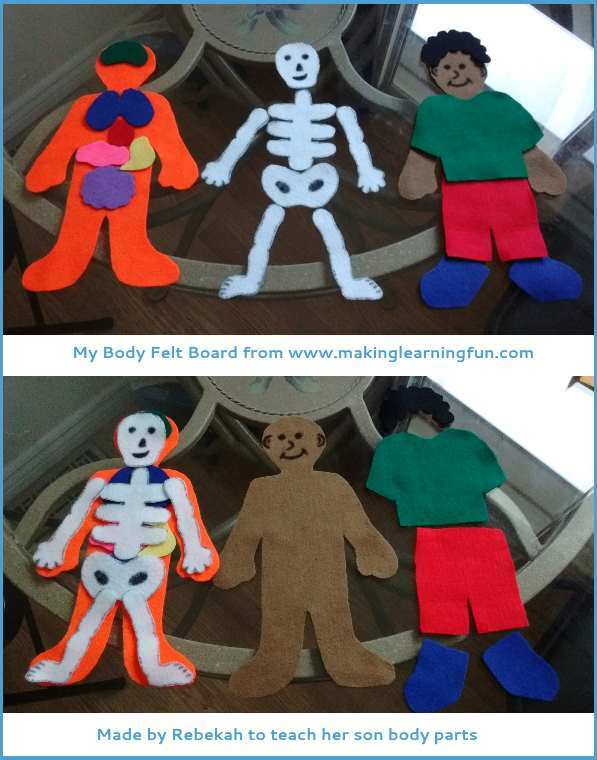 I made this from felt to teach my son body parts and what they do. You can take off each organ and add them as you sing the song. Then put the bones over top of the organs, add the skin and then the clothes to have a complete person." 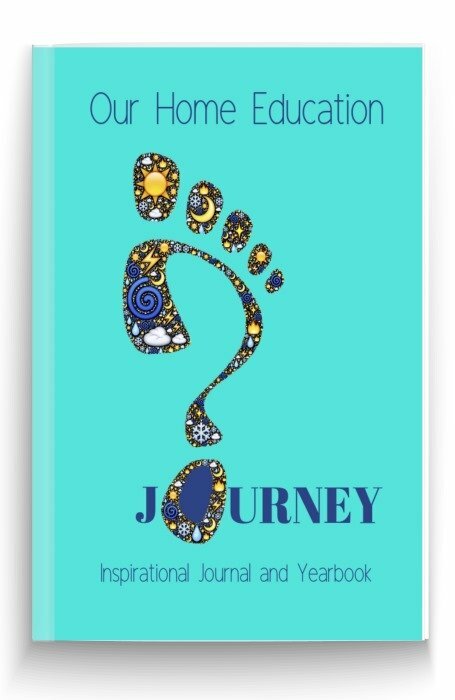 You can download free printable outlines to cut out the body parts and get a copy of the song from Jo's lovely makinglearningfun.com website. 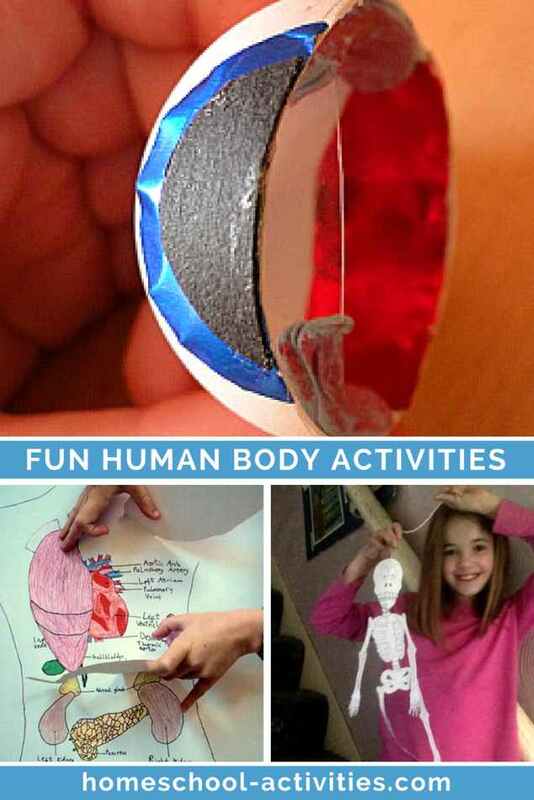 Great idea for a human body for kids project. Thanks Jo. For older children, you can use your own body as a model. 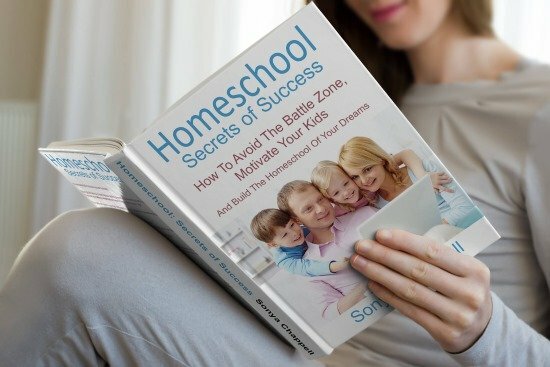 Get your child to lie down on a large piece of paper and draw round their arms and upper torso. 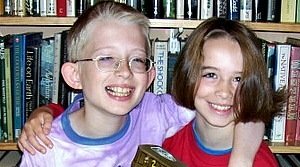 As my son William knows, this is where a human body for kids homeschool unit study gets ticklish! Get a good kids book on the human body, trace round a few of the main organs and get the kids to color them in. 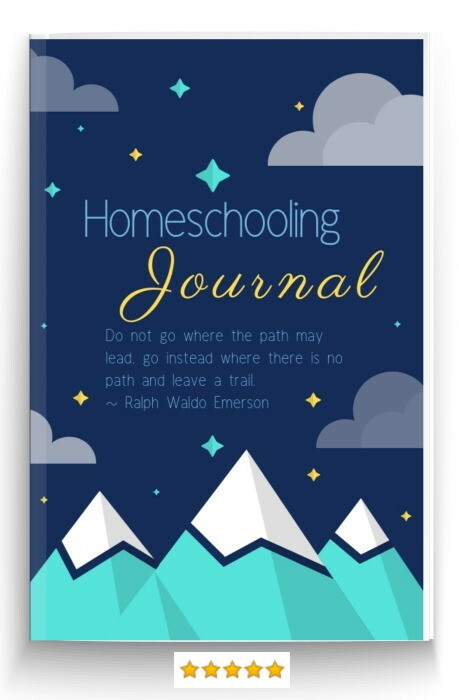 You can make the drawings as simple as you like, or quite complex if your kids are high school age. 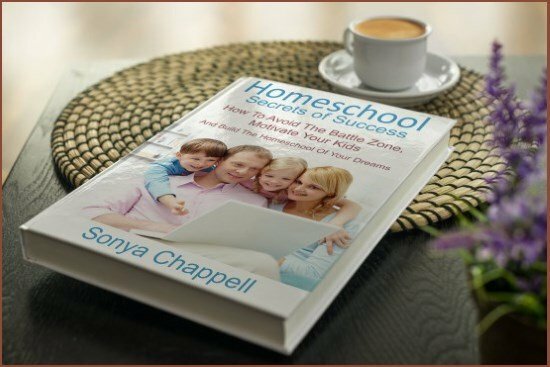 "We tried this activity and it was a success! 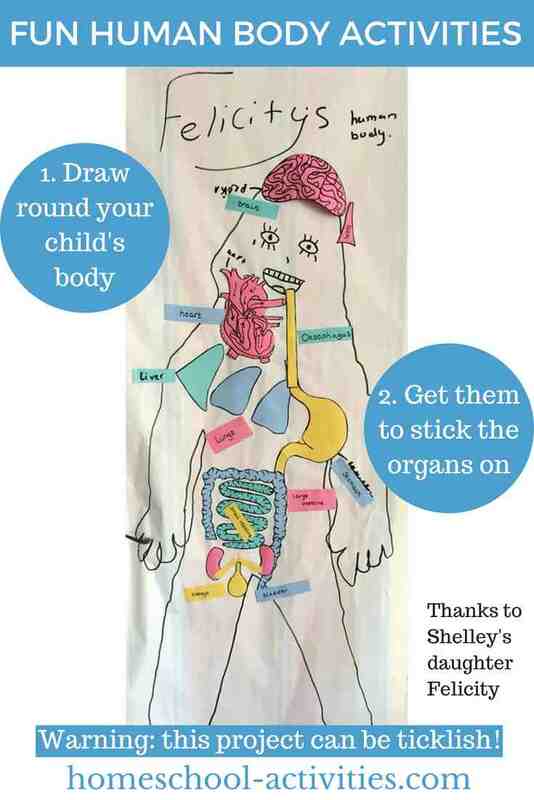 I drew the organs myself just on paper and the children then stuck them on. Although just to add the children glued them on themselves so don’t think I’m teaching them the heart is in their neck!!!" 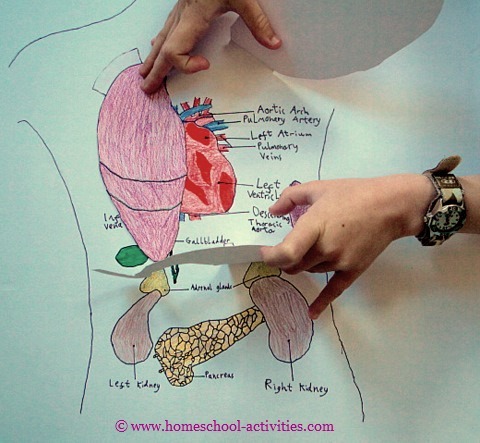 One great idea is to make a lift-the-flap homeschool unit study of the human body. You'll see our lungs are attached to tabs which lift up to reveal the heart. I reckon not many families come home to an eyeball on the table! 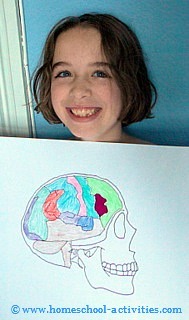 Here's my daughter Catherine holding up the picture we traced of a human skull. 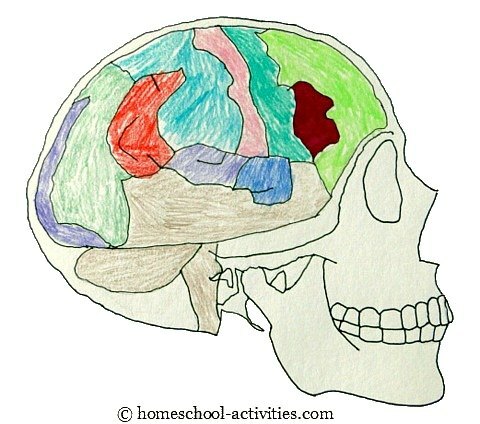 As part of your homeschool Unit Study, you can color in the areas of the brain and talk about what each does. 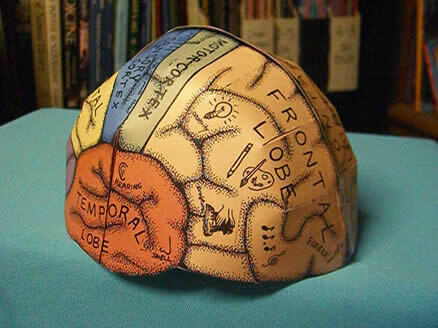 The human brain is three times as big as the brain of any other similar sized mammal. You can download this wonderful brain hemisphere and make it up as a model hat to wear! 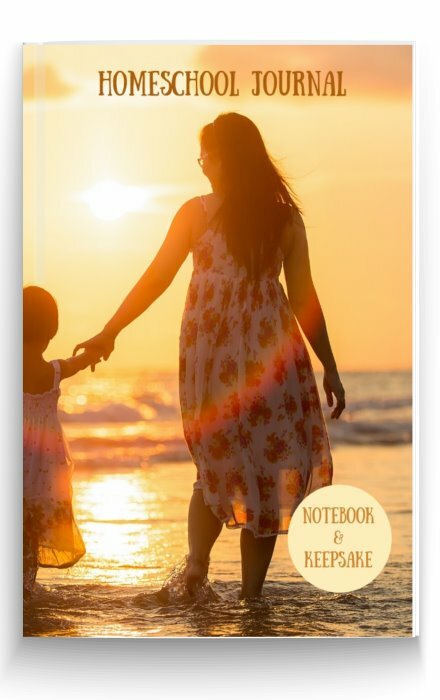 It is even available in different languages. 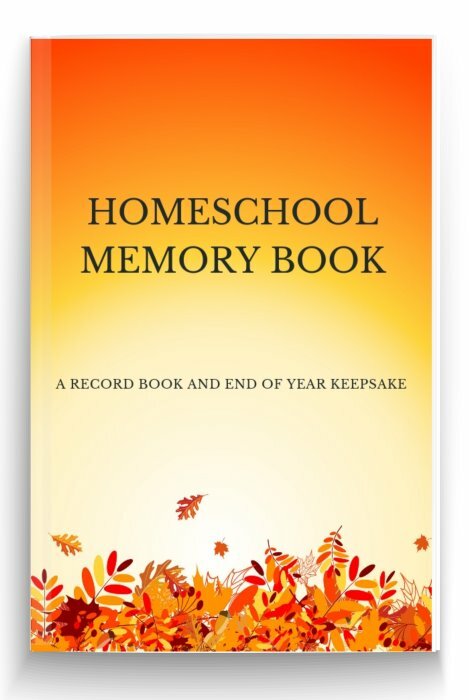 Go over to Ellen McHenry's Basement to get your free download. This site requires you to log in first, but Bio-Digital Human is a great place for older kids to explore a virtual human body in 3 dimensions. Zoom in on your left lung and discover your left salivary gland! 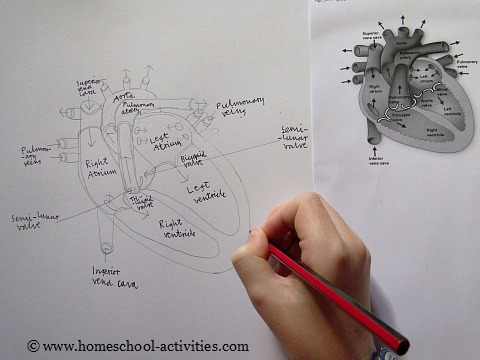 As you can see, our human body for kids homeschool unit study is all about getting hands-on! 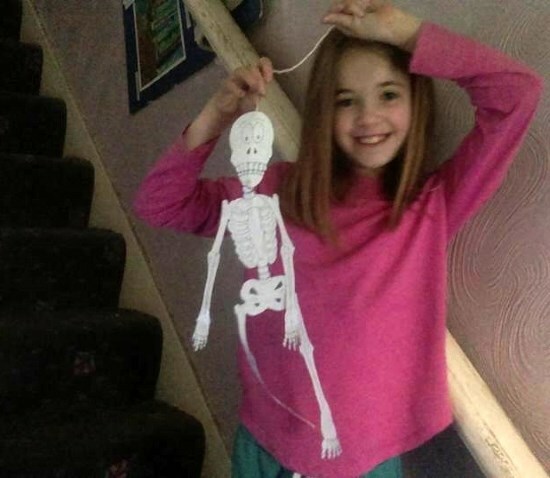 Sylv and her 9 year-old daughter came up with a lovely activity building your own paper skeleton from a free paper cut out. "Jayne is over the moon with her little skeleton. We have talked about Clavicle, Sternum, Humerus, Radius, Ulna, Femur, Patella, Tibia, Fibula, Phalanges, Metacarpals and carpal bones. We even sang along to Dem Bones!" 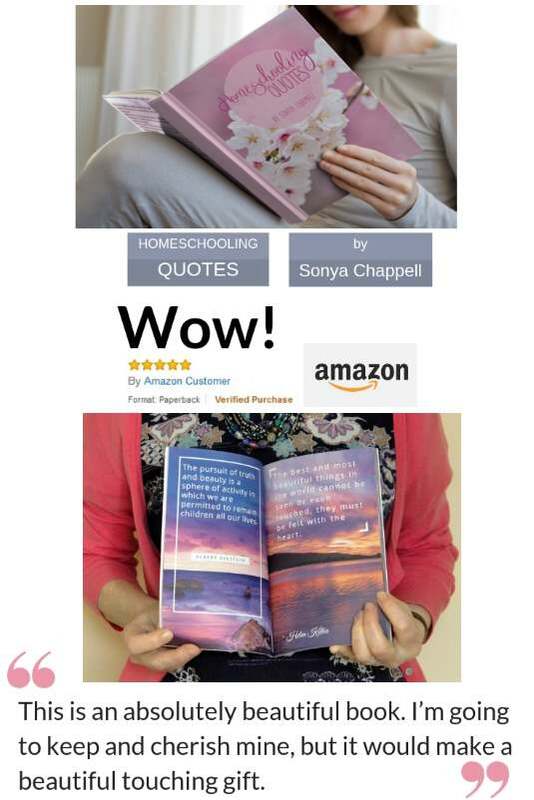 Thank you for sharing and well done Jayne! 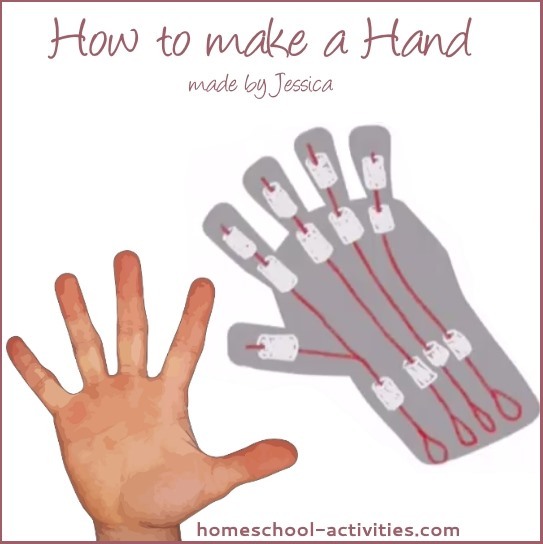 Jessica is homeschooled and has specially made this video which shows you how to make a working hand. Thanks so much Jessica! You will find how tendons work and actually get to move the fingers of your working model. Jessica shows you exactly how to do it in her video. Brilliant. 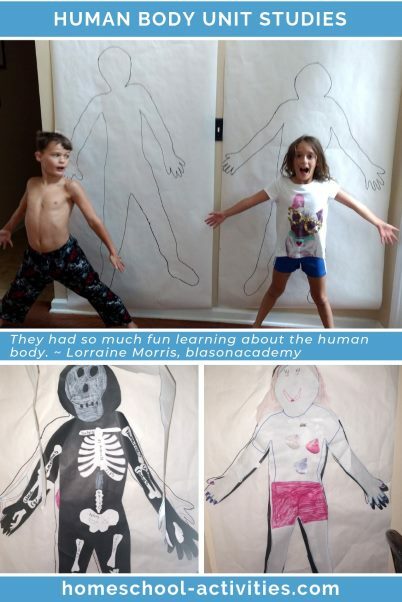 "They had so much fun learning about the human body. I first started by tracing their bodies (wiggle central lol) and then we explored all the different organs. They cut the organs out, colored them, labeled them and placed them where they were supposed to be. Along with that we read about them. We then moved onto the bones. Which was a little more difficult! However with the help of Pinterest I was able to find some great cutouts. We came up with a song so they could remember the bones. At the end I had them write out a recipe for a body. 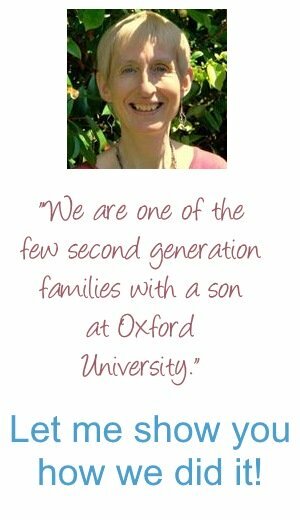 This unit took about 2 months and they loved every bit of it." 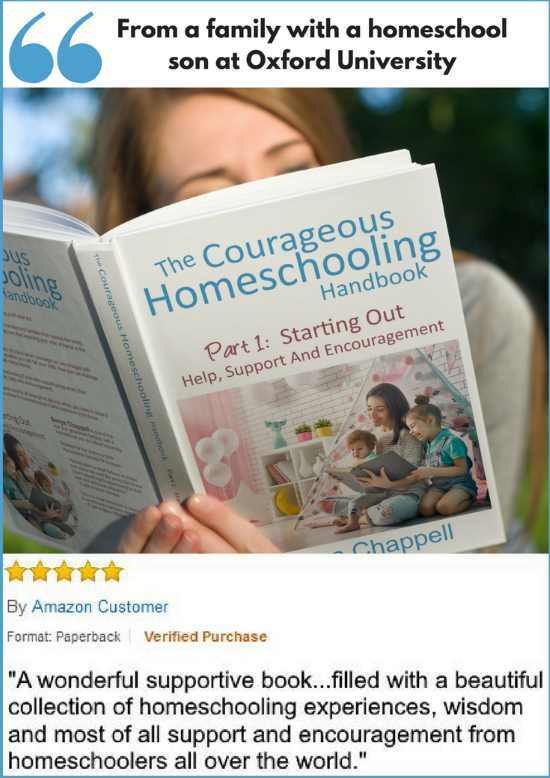 I asked my Courageous Homeschooling Facebook Group to recommend some resources. 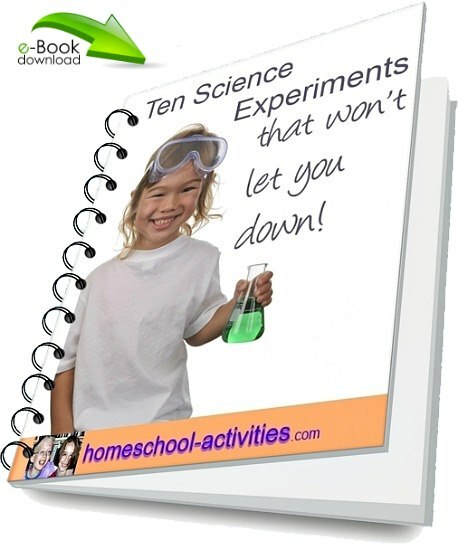 Get your free e-book of ten science activities that won't let you down! 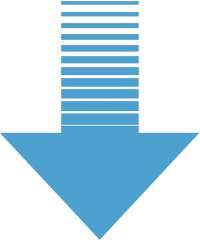 by clicking on the kids experiments link. The human body is an amazing place to discover. Why not draw round your hand and find out that fingernails are actually modified hairs? If you do the same with your feet, you'll find out that it's rare to find two feet exactly the same. 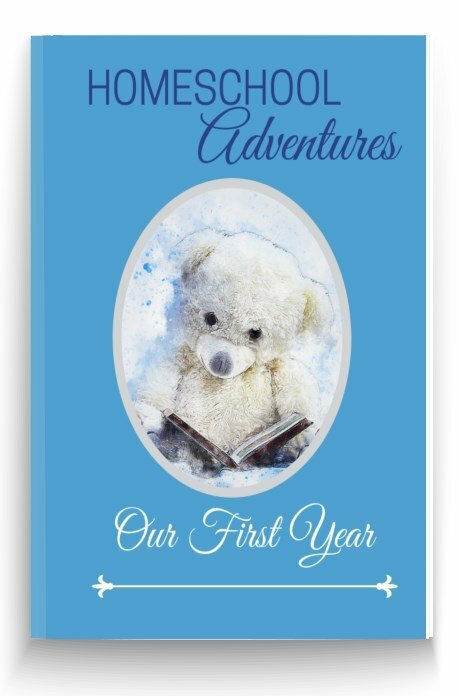 So the human body for kids is a fantastic journey of discovery just waiting for you to begin!